Health experts at Tuesday’s White House summit argued the need to fight climate change after highlighting the primary area that suffers from global warming: human health. The summit, consisting of health experts and environmental activists, concluded that warming temperatures are contributing to increased incidences of lung issues, infectious diseases, and allergy issues. The elderly and low-socioeconomic individuals are at the highest risk for developing health issues as a result of climate change. The summit occurred shortly after a report was released by the Environmental Protection Agency which outlined the environmental and health impacts that will occur if society doesn’t work to alleviate smog, toxic waste and pollution. The report concluded that by the year 2100, approximately 57,000 Americans could die each year from poor air quality if no action is taken to combat global warming. The calls to fight climate change came days after Pope Francis called on humanity to halt global warming, and one day after the British medical journal The Lancet reported that climate change can increase the spread of diseases, cause certain foods to be unavailable and increase the occurrence of allergies and asthma. 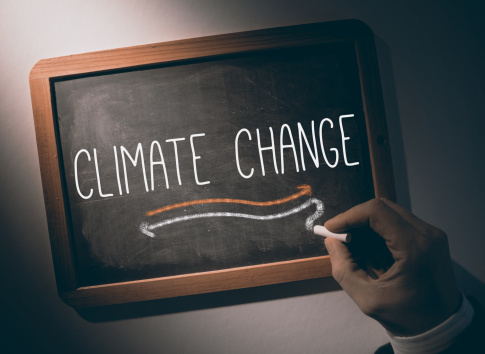 To further educate the public and combat the negative health effects of climate change, a national “heat health information system” is currently being built by the Centers for Disease Control and Prevention and National Oceanic Atmospheric Administration. The Obama administration’s Climate Action Plan aims to cut approximately six billion tons of carbon pollution by the year 2030—that’s equivalent to 1.2 billion cars being kept off the road for one year. Leonard, K. “White House Climate Change Summit Highlights Health Dangers,” Usnews.com, June 23, 2015, http://www.usnews.com/news/articles/2015/06/23/white-house-climate-change-summit-highlights-health-dangers?int=9b9e08&int=a9e709.